Recently i started facing a peculiar problem with my keyboard. Whenever i hold backspace, it deleted only one letter. Even back arrow key also do not work while holding and shifted only one letter back. The option to hold any key and get repeated keystroke as a result was missing. This was frustrating, as i have been doing this since childhood. This killed my pace of correction while typing also. So, i googled and fixed the problem. Here is how i solved it. Step 1: – Click start key and open settings. 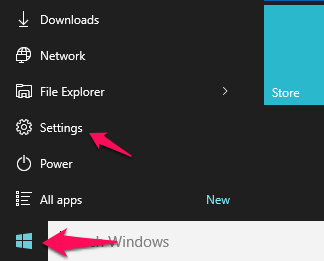 Alternatively you can also Press windows key + i to open settings. 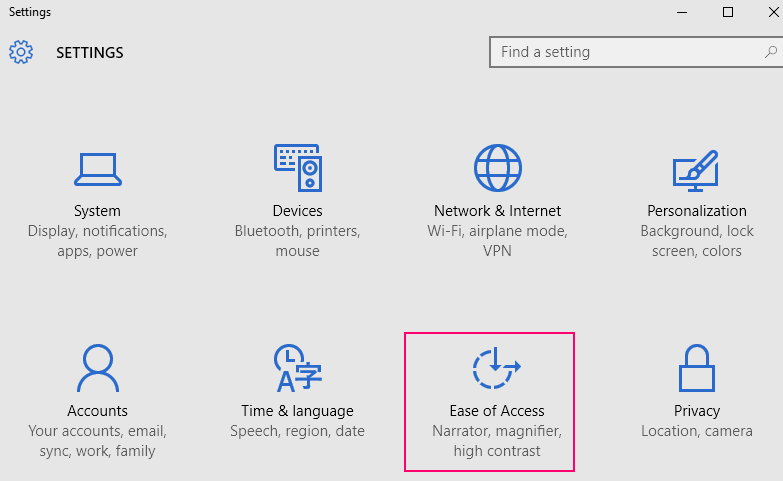 Step 2: – Now, click on ease of access. Step 3: – Now, Click on keyboard from the left menu. 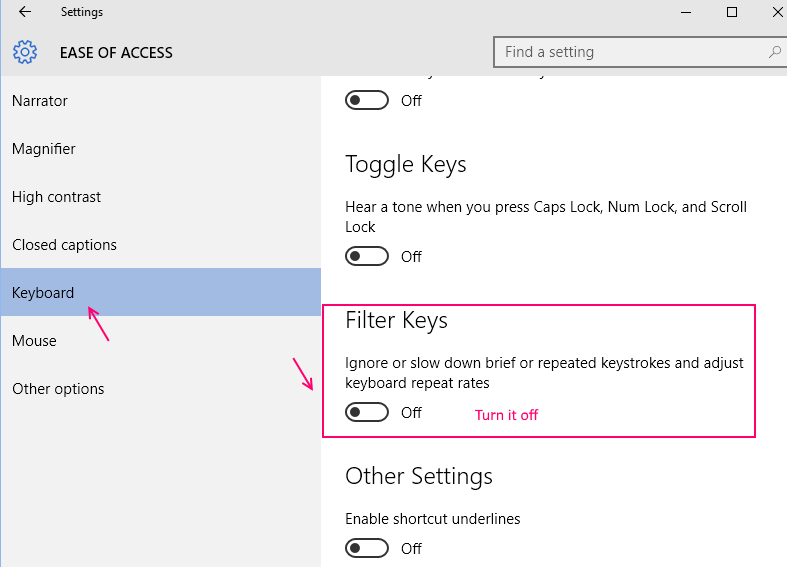 Step 4: – Finally turn off filter keys as shown in pic below. Thats it. Now, you can easily hold the backspace key and it will remove letter continuously, while you hold the backspace key. Thank you very much! Helped! You fixed my problem !! That worked for me. Thank you very much.